In 2017, Robin Pharo creates the ensemble Près de votre Oreille (“Near Your Ear”), an original space of creation and artistic meeting between musicians and artists. Près de votre oreille is an idea that is near and dear to his heart: to involve listeners and spectators as much as possible with the emotional issues of a creation and to bring to the ears of the public an intimate and delicate music that flourishes in works and projects for a small group of artists, from early music to contemporary music, while exploring universes such as songs and choreography. This project is a continuation of various programs that Robin Pharo has initiated since 2010. In duet with Ronald Martin Alonso, he participates in the production of the show Paroles de violes, dedicated to the viol music written by Monsieur de Sainte-Colombe, which has been programmed at the Théâtre de L’Epée de Bois, at the Cartoucherie. He plays as a duet with Ronan Khalil with whom he performs at the Handel House Museum in London and at the Jeunes Talents Festival in Paris. Robin Pharo recorded for the label Paraty the disc L’Anonyme Parisien, devoted to the virtuosic pieces composed by Charles Dollé for viola da gamba and basso continuo. In Poland, at the Muzyka W Raju Festival, Robin Pharo created a program entitled Orpheus in the Underworld which combines pieces composed by Marin Marais and tunes from the Opera La Descente d’Orphée aux Enfers, composed by Marc-Antoine Charpentier. During the 2017/2018 season, the ensemble Près de votre oreille will perform at the Baroque Festival in Timisoara, in Romania, at the Théâtre Grévin in Paris (Philippe Maillard Production), at the Embaroquement Immédiat Festival, at the Midsummer festival, in Hardelot and at the Nasz Telemann festival in Poland. 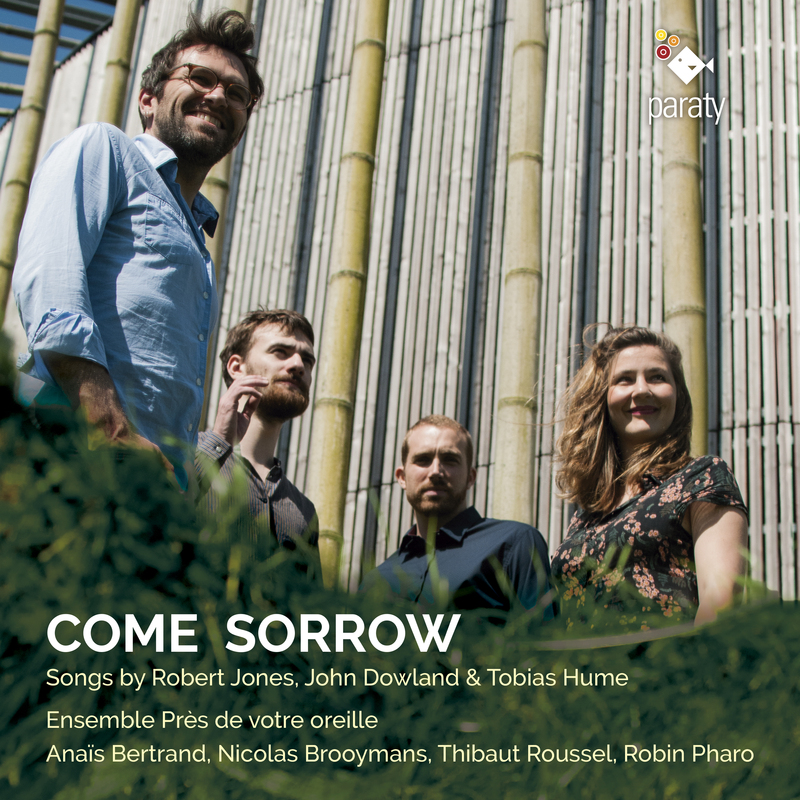 In June 2018, with the collaboration of the L’Entente Cordiale’s Cultural Center, he will also record for the Paraty label a CD entitled Come Sorrow, dedicated to English Elizabethan music composed by Robert Jones, Tobias Hume and John Dowland, at the Elizabethan Hardelot Theatre. In September 2018, Près de votre oreille will be in residence in the city of Longjumeau for the creation of the piece Le Manuscrit de Voynich, composed for mezzo-soprano and a consort of violas da gamba by the Bulgarian composer Yassen Vodenitcharov. In october 2018, he will present a the Consevatory of Gennevilliers the show named Les Trois Ailes du Papillon (with two dancers and one solo viola da gamba). In 2019, Près de votre oreille will perform at the Opéra de Lille, at the Rencontres Internationales de Musique en Trégor, at the Rencontres Musicales de Bel-Air and at the festival baroque de Tarentaise.